It’s a fact of the world we live in that, more often than not, your products will get a “no”. Sales rejection is just a part of the selling process. Sure, if you’re a closer with only qualified prospects heading your way, you may have a close rate greater than 50%. But never let that fool you into thinking that the sales development folks aren’t getting hammered with a constant stream of negative responses. Because they are. Moreover, what’s not fine is keeping leads on the line because they are too nice to tell you how they really feel. Getting these contacts out of your pipeline (or into an email cadence) quickly makes all the difference. Understanding why “maybe’s” are bad. How to identify them properly. Knowing when and how to “dump” them. 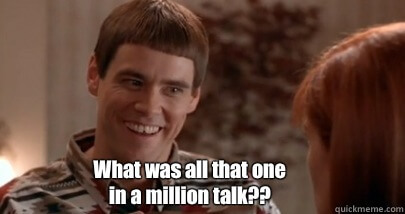 Oh, and we’ll be using lessons I learned from Lloyd Christmas in Dumb and Dumber. The first one, not the sequel. If you’ve been in sales for any chunk of time, you’ve been told “maybe”. Probably a lot. Somebody (like Mary Swanson) acts nice to you in your first meeting and you start thinking it could be the real thing — another sale. You spend so much time, effort, and maybe even money finding out more about the lead and wooing them until you’re ready to go in for the hard close. When you ask, the lead gives you an awkward, yet slightly affirming answer. You hear what you want to hear and think that it’s just a matter of time before the deal is done. The problem is, you keep trying. Sending follow-ups, creating resources, or even trying to buy a lead that isn’t ready to be (or never will be) a client. Well, that’s how you act in front of this person that you thought was going to help you make your sales goals for the month. Then, when the reality hits and you realized the time, effort and money wasted — you may react differently. Getting told “yes” as many times as possible is always the goal, but getting told “no” is always going to be a part of the sales equation. Here’s the thing. You can’t just write off every maybe as soon as you hear it and write off that prospect, putting them in the “dead to me” pile. It could be a genuine maybe. Or, it could mean “not right now”. 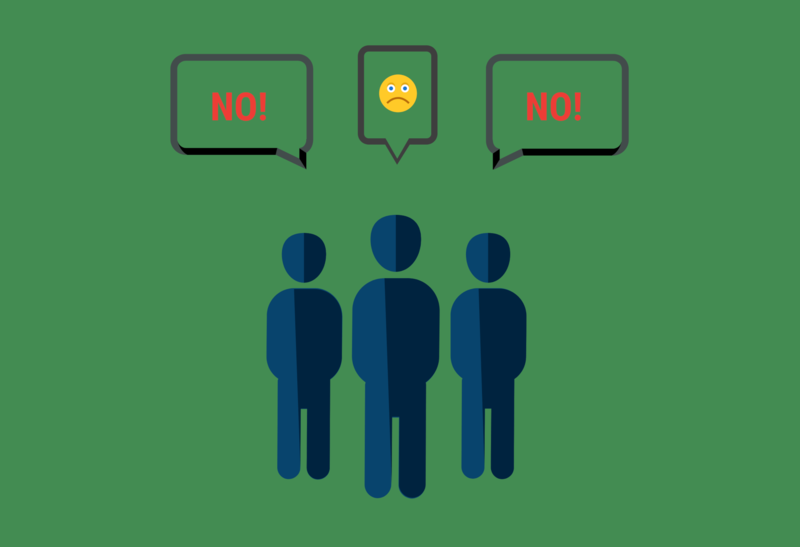 Most think it’s a polite way to say “no” and just a sales rejection. More than likely the “maybe” you get fits into the third definition, but that’s still not a reason to go all Lloyd on them. Now, let’s sharpen those discernment skills and help identify what exactly your lead is trying to tell you when they say “maybe”. There’s a lot to be said for the tone and indicators that are put off by prospects. We recommend sending an offer that entices leads to jump into a conversation with you. For instance, asking for feedback for a report, inviting them on a podcast, or giving a great resource. Something that isn’t a direct sell, but gets them talking. However, doing this compels people to give you something in return. It’s the power of reciprocation, but it’s also a maybe-magnet. The same people who will hem and haw, hoping you get the point will feel the need to give you a courtesy response. How To: Ask qualifying questions. Try to get details about budget, the buying process, and their current solution. If they’re not interested, or the decision maker — they will squirm in their seat. Eventually, you’ll be able to put 2 and 2 together. Too many reps are afraid of this one. If they are on the phone or in the email sequence for the wrong reasons, you need to set them free. You pitch, they say maybe. Next, you ask what’s hindering them and tackle those objections. You pitch again, they say maybe (again). Doing this will set most of your maybe’s free. And, more importantly, set your pipeline free from suspects. If someone has shown interest in your product(s), but has shown a bit of reluctance on the phone, you could end the call attempting to schedule a sales call. Let’s do a scripted example. A marketing agency owner, starting from the point when they realize that they are in the maybe-zone. If someone is interested in your abilities, they’ll agree to those terms (but may still tell you maybe after the call). But this tactic is a way to separate the suspects from the prospects. Not only can it help you draw out the maybes, it can help you close more deals. Using one or more of these methods will clear up a lot of the murk surrounding the lead and help you identify where they stand in the sales process. Now, it’s a matter of figuring out what to do with them. Congratulations, you’ve either prompted a maybe into a deal, or you know that they have no real intent to buy your products. Both of these scenarios are cause for celebration. One gets you business and the other gives you time saved. Both are great for busy executives, owners and sales reps. However, you may not want to write off the maybes entirely. Just because you shouldn’t be directly, actively trying to sell to them doesn’t mean you can’t indirectly influence them. Or even revisit them in the future. All maybe’s as a rule (with exceptions) fall into two “types” of sales rejection. You know they’re not going to close in the next 30 days, but 6 months down the line they are a legitimate lead to retarget. What to Do: Take detailed notes in your CRM and schedule a reminder to re-engage the conversation at the best time. If there were no indicators of a good time, just set a reminder for 6 months later and give it a go. Here’s a post about re-engaging old leads. There are decision makers that will take their sweet time deciding whether or not to change their current solution, or buy a new product/service. No matter how well your pitch goes, they’ll have to “figure things out for themselves”. They may come back and buy, but you don’t know when. This lead doesn’t fall into your average buying cycle. What to Do: Put them in an email cadence. Shower them with a few emails a month, full of resources and all the info they could ever want to make an informed decision. Make sure your sequence has clear calls to action and let them work it out. Here’s a guest post we wrote about putting an email cadence together. When leads hit your funnel, either via inbound or outbound methods, your first job is to qualify — not to sell. Find the best fitting leads and then pitch those (or schedule a sales qualified appointment). No’s are a win, as long as you’re not losing people who fit into your ideal customer profile. Yes’s are obviously a win. It’s the maybe’s that we’ve spent our time on, trying to figure out how to draw out the no (or yes) and then what to do with the hard maybe folks. Are you wasting time with a bunch of maybe’s? What sales rejection strategies do you use to keep your pipeline flowing?